The Board held its second very successful biennial conference for its Constituent members and Port Welfare Committees at the Union Jack Club in London on the 5th and 6th November. The aim of the conference was to continue to enhance the provision of seafarers’ welfa re, by encouraging and enabling ever closer collaboration amongst MNWB Constituent organisations and Port Welfare Committees. Day one of the conference opened with a keynote speech from Sir Stuart Etherington, Chief Executive of the National Council for Voluntary Organisations who explained how austerity measures introduced in response to the economic downturn have driven increased demand on charities. Next was a presentation from Sir Alan Massey, Chief Executive of the MCA who updated the delegates on the MLC 2006 a year after ratification. Other presentations included; Tommy Molloy of the ITF on the plight of the crew of the m.v Donald Duckling; Andrew Dalrymple of the Humber Seafarers’ Service on the rebuilding of the Immingham Seafarers’ Centre after the tidal surge and; David Dickens, Chief Executive of the Fishermen’s Mission who updated delegates on the work of the Mission and the changes and challenges they face. The day concluded with a drinks reception and dinner for all the delegates which enabled them to network and discuss the day’s presentations. After dinner speaker was the new Chief Executive of the Chamber of Shipping, Guy Platten. 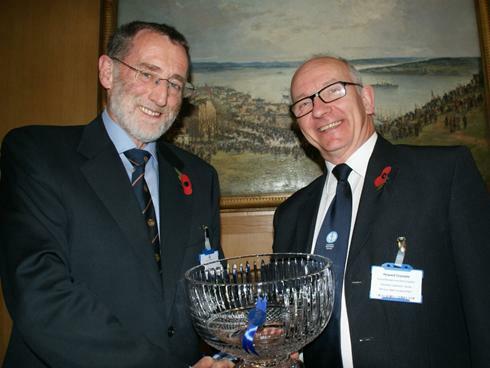 During the dinner the Annual Services to Seafarers’ Welfare Awards were presented to the very deserving Reverend Howard Drysdale of the Aberdeen Seafarers’ Centre and Tony McAvoy of the Apostleship of the Sea (see previous news article for more information). Further presentations followed from Tony Muncer, Chairman of the IMarEst Guild of Benevolence who spoke of the help the fund gives to seafarers with a technical background all over the world. He was then followed by Trevor Goacher, Chief Executive of Care Ashore who spoke of the work they do in supporting seafarers in their home in Surrey. Next up were Martyn Clark and John Wilson, both Chairman of Port Welfare Committees who spoke about the important work the committees do in their areas towards seafarers’ welfare. The day continued with updates from Commodore Barry Bryant, Director General of Seafarers UK and Captain David Parsons, Chief Executive of the MNWB on the grants that both charities award as well as an update on the work of the Merchant Navy Fund, a joint venture between the two charities. The conference concluded with updates from Captain Parsons and Peter Tomlin, Deputy Chief Executive of the MNWB on the work of the Board and the many projects that were underway. For more photos of the conference please click here. This years Annual Services to Seafarers' Welfare Award went to two deserving recipients: Reverend Howard Drysdale and Tony McAvoy. 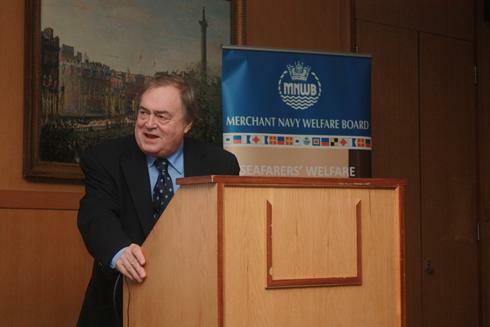 The awards were presented by Bob Jones, Chairman of the Merchant Navy Welfare Board at their Biennial Seafarers’ Welfare Conference dinner in London last week. Howard is Port Chaplain and Centre Manager at Aberdeen Seafarers’ Centre. 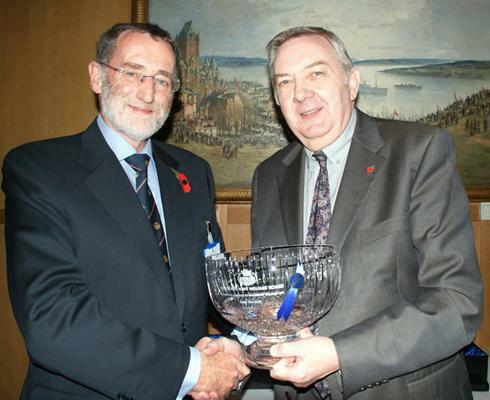 Howard has been recognised for th e invaluable support and service he has given to visiting seafarers in Aberdeen for over a decade and in particular, for his perseverance in championing the need for a seafarers’ centre in the port. The seafarers centre has been up and running for over 3 years now and is increasingly popular with visiting seafarers who come ashore to relax in the friendly and safe atmosphere of the centre. Howard is very highly regarded by both ship owners and seafarers and can always be relied upon to provide practical support to seafarers who are facing difficulties far from home. Tony was Port Chaplain with the Apostleship of the Sea in the North East region for over 16 years until his retirement at the e nd of October this year. Tony has been recognised for his pivotal contribution to AoS and seafarers’ welfare, not just in the North East but nationally and indeed internationally. Tony has recruited, managed and supported an excellent team of volunteer ship visitors, parish contacts and local supporters. He is passionate about the need to uphold the rights and dignity of seafarers. He will be missed by his colleagues, volunteers and all those who work with him. At noon on 30th October 2014, Rose George, author of the acclaimed “Deep Sea and Foreign Going”/ “Ninety Per Cent of Everything” officially inaugurated a Seafarers’ Wi-Fi Service at Ipswich Dock in front of an invited audience of around sixty people. The ceremony, followed by a reception, took place on board the Thames sailing barge Victor moored on Eagle Wharf. A joint project between charities the Merchant Navy Welfare Board (MNWB), Seafarers UK, Felixstowe and Haven Ports Seafarers Service (FHPSS) and Associated British Ports, has created a Wi-Fi network which covered the port estate and allowed crew to log on free from the comfort of their ships. The provision of the Wi-Fi Service has been enabled with grants of £10,000 from the Merchant Navy Welfare Board (MNWB), represented by Sharon Coveney, and £5,000 from Seafarers UK (SFUK), represented by Derek Peters and FHPSS, represented by David Thurston. Captain Jerry Coleman, Harbour-Master at ABP Ipswich, along with his team has also played a vital role in bringing the Service to its fruition. 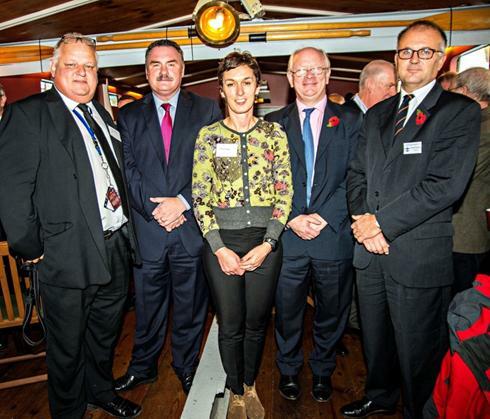 Wi-Fi launch (left to right): Captain Jerry Coleman-Harbour Master, Andrew Harston-ABP Director Short Sea Ports, Rose George-Author, James Cooper-ABP Chief Executive, David Thurston-Chairman Felixstowe & Haven Ports Seafarers Service. J. BARTNETT, Chief Electrical Engineer QUEEN ELIZABETH (Cunard Line) for services to the cruise line sector, especially in the construction and commissioning of the three QUEENS. CAPTAIN. J.L. CLARKE, lately Master PANARY (Viaduct Shipping) for services to lighterage on the Mersey and to historic vessels on Merseyside. J.S. DAVIES, Senior First Hotel Officer QUEEN VICTORIA (Cunard Line) for services to the prestige of the cruise line sector. P.B. DAVIES, Principal Lecturer, Liverpool John Moores University for services to the Merchant Navy Training Board and to Lairdside Maritime Centre. D. DEARSLEY, Marine Consultant for services to the International Maritime Employers' Committee and to industrial relations in the shipping industry. J.E.F. GRANT, Chief Mate GALWAY FISHER (James Fisher Ship Services) for services to the Merchant Navy, especially in the training of officer cadets. G. HALL for services to the Falmouth Centre, Missions to Seafarers, especially in creating and maintaining the Seafarers' Garden. CHIEF ENGINEER. G. HINDMARCH, Principal, South Shields Marine School, South Tyneside College for services to marine engineering and to seafarer training. CAPTAIN. N.W. MARTIN, Master HEBRIDEAN ISLES (Caledonian MacBrayne) for services to Western Isles ferries and to the Nautilus International Council. CAPTAIN. K.B. MILLAR, Senior Lecturer, Liverpool John Moores University for services to maritime training, especially in the study of ship stability. CAPTAIN. K. OPREY, Master QUEEN MARY II (Cunard Line) for services to the prestige and growth of the cruise ship sector. CHIEF ENGINEER. C. POWELL, lately Surveyor, Maritime and Coastguard Agency for services to the Merchant Navy, especially in the provision of international marine engineering qualifications. LT. CDR. C.C. TRELAWNY, RD, RNR, Senior Deputy Director, Maritime Safety Division, International Maritime Organization for services to counter-piracy strategy and to Royal Navy/Merchant Navy liaison, HMS PRESIDENT. COMMODORE. W.M. WALWORTH, CBE, lately Head of the Royal Fleet Auxiliary for services to the Chamber of Shipping and to the Marine Society/Sea Cadets. CAPTAIN. C. WELLS, Master QUEEN ELIZABETH (Cunard Line) for services to the prestige and growth of the cruise line sector. 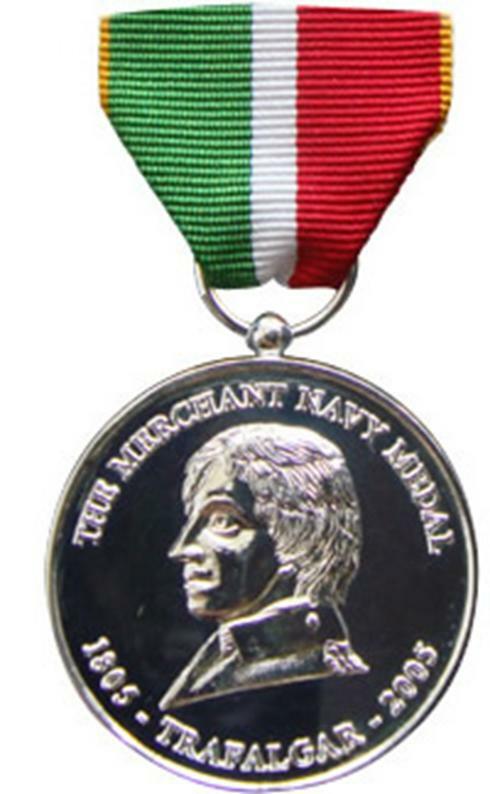 For more information on the medal please go to the medal website www.merchantnavymedal.org. In an interdependent and interconnected world driven by technical progress, the charity Age UK estimates that, in the UK, 64% of people over the age of 65 have never used the internet. 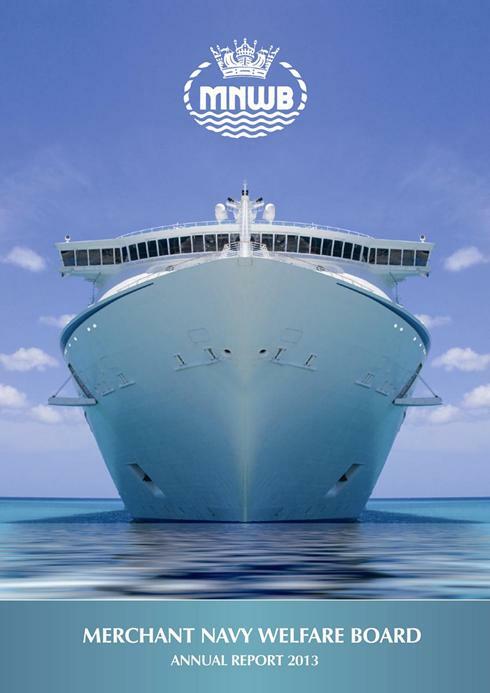 As a result the Merchant Navy Welfare Board (MNWB) conducted its own survey of IT in MN seafarers’ homes. The survey reached a similar conclusion to Age UK and also highlighted the fact that 52% of residents did not have proper access to the internet and 63% wanted to know more about computers. To that end, MNWB launched an IT pilot project during 'National Online Week' (13-19 October 2014). 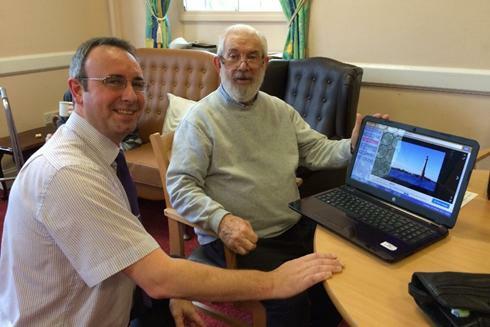 The project has provided residents from Mariners' Park in Liverpool, Care Ashore in Surrey and Sir Gabriel Wood's Mariners’ Home in Greenock, Scotland with the IT equipment, software, training and access to the internet needed to help improve knowledge and understanding of modern information technology. Indeed, help was needed as many older people actively avoid using computers and feel apprehensive even frightened about using them. Capt. David Parsons, MNWB Chief Executive says “a better understanding of IT can have a positive impact on people's lives and we are keen to provide our colleagues in MN seafarers” homes with the tools to help them make that transformation'. Financially supported by the MN Fund, which is run by Seafarers UK, the MNWB project has supplied each home with a selection of IT equipment including small and large tablets, laptops and TV PCs; the latter turns a modern TV into a computer and is ideal for those who may be immobile or suffer from visual impairment. Subject to demand the equipment will be redistributed amongst the residents on a quarterly basis to ensure that as many residents as possible get the opportunity to participate in the project. The pilot project will take place over 18 months and involve more than 50 residents. It will also test the effectiveness of new 'Simplicity Software' which has been designed specifically to engage with the older generation. Wayne Cooper, Director of Simplicity Computers stated “the MNWB pilot project provides us with the ideal environment to test our innovative new TV PC and Simplicity Software - we are looking forward to working with MNWB and the retired MN community”. Alastair ‘Ally’ Whitfield, MNWB’s newly appointed Project Administrator (kneeling centre of photograph) said “the project is very much a team effort and we are extremely grateful to key personalities: Trevor Goacher (CE, Care Ashore), Mike Howarth and Roger Cliffe-Thomspson (Mariners Park) and Steven Bradley and Katie Webster (Sir Gabriel Wood’s Mariners’ Park), who have generously agreed to actively deliver the project to their residents”. MNWB staff carried out successful visits to each of the seafarers’ homes during ‘National Online Week’ where they issued equipment and conducted initial project training. Mariners Park Welfare Services Manager, Mick Howarth said “the residents are simply delighted with the new IT equipment and its really going to give them a window to the outside world”. In Scotland Steven Bradley, General Manager of Sir Gabriel Wood’s Mariners’ Home stated “considering many of my residents have never used a computer before I am amazed at how quickly and enthusiastically they have set about learning how to use them”. The eventual evaluation of the pilot project is expected to produce valuable information on best practice and IT equipment for the retired MN community. 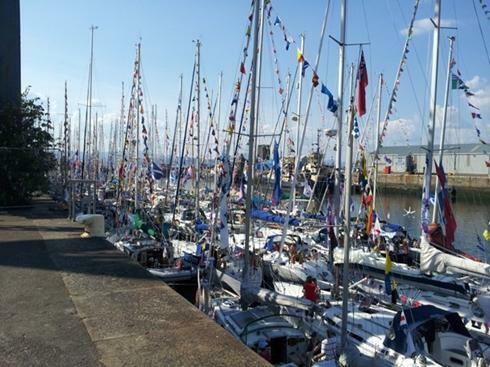 The Commonwealth Flotilla began at James Watt Dock Marina in Greenock with a receptio n and party on the Friday evening. The next day on the Saturday 26th July all boats gathered on the water as the tide began to flood. The Flotilla departed in pre-allocated groups to journey up the Clyde towards Pacific Quay (next to BBC and Glasgow Science Centre). We identified a couple of people who agreed to fly a flag for our respective charities at the Flotilla and also received an invitation from RYA to be part of the information and display team at the reception on the Friday evening (this involved having an information stall, which helped raise awarenes s of the support available for seafarers). I volunteered to assist with the co-ordination of these tasks, so I picked up and delivered flags to both a Kenneth Cape at Cal Mac and Hamish Munroe at Clyde Marine. 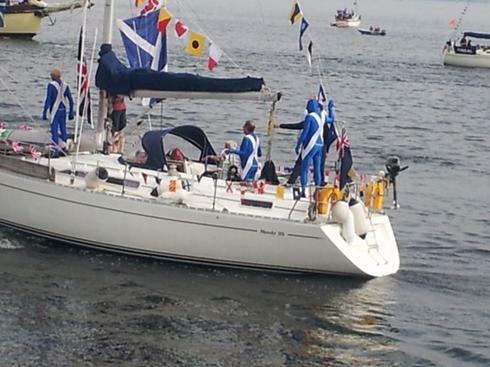 (A big thanks to them both for displaying our flags at the flotilla). The information stalls where based in the old sugar sheds at Greenock, I arrived early morning on the Friday with a couple of garden tables under each arm and set up the information stall, thanks to Colin Mackay – RNMDSF Scrabster Fishermens for a flag that doubled as a table cloth, as well as displaying our own Seafarers support promotional materials, I also displayed information from both the Fishermens Mission and Veterans Scotland. I had arranged for Laura Brown from Mission to Seafarers to join me and share some space at my tables, Laura joined me for a wee while later on in the Friday evening. She also brought about 6 flags with her, and was able to persuade a number of crew to fly flags for the Mission to Seafarers. (Not taking anything away from Laura’s persuasive powers! but I think a lot of her success was due to the fact that her husband who had accompanied her is a Coastguard and was in full uniform!) It should be a pre requisite for all awareness raising jobs in the future!. It was a great evening with lots of entertainment for the crew and invited guests, people attending (except stall holders I may add!) partied in to the wee small hours. The next day I set out early to watch the flotilla on its voyage to Glasgow quay, it was amazing to be part of this wonderful event and to be giving an opportunity to raise awareness of the support that is available for seafarers. The Board has just published a booklet called "Arrested and Detained Vessels and Abandoned Seafares: A Guide to Who Does What" for the voluntary societies involved in port based welfare within the United Kingdom. It outlines the responsibilities of the statutory authorities and other organisations who might become involved when problems are identified aboard a vessel in a UK port. This has been written in response to requests from the Board's Port Welfare Committees, after a number of incidents of vessels being arrested, detained, and/or seafarers being abandoned. In preparing this publication the Merchant Navy Welfare Board (Board) has sought advice from various sources and is most grateful for their help. Our Annual Report for 2013 has just been printed. To download a copy p lease click here. To see previous years reports please click here. Sally Oliver, our Welfare Manager joined Seafarers UK and the Royal Naval Benevolent Trus t at Fareham Shopping Centre yesterday to promote Seafarers Awareness Week, which is an annual week long campaign designed to raise awareness of Britain’s dependence on seafarers. It was an opportunity to promote the support that is available to all those who have served at sea, as well as their dependants. The response in Fareham was extremely encouraging and well received by all those who stopped by for a chat and to ask about the support which is available to them. 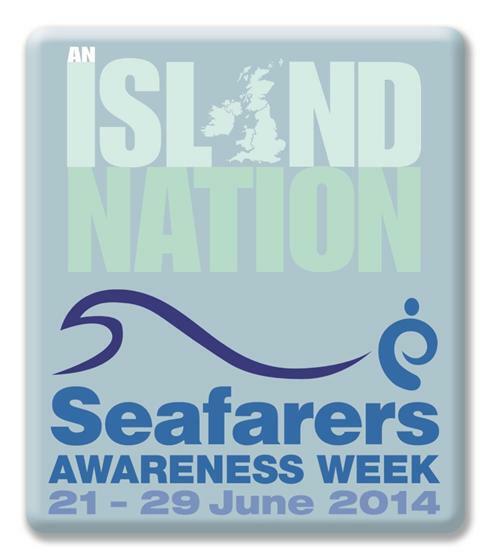 Various of our Port Welfare Committees have organised events in support of Seafarers Awareness Week which began today. The South West Port Welfare Committee have organised a talk at Plymouth University on the 26th June entitled 'For those in peril'. 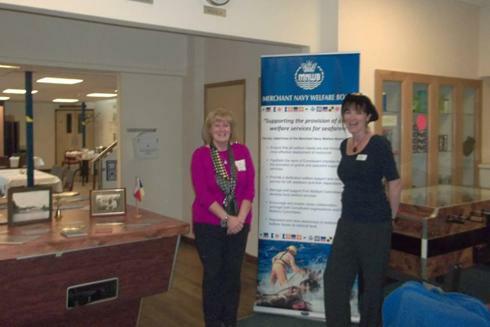 The Milford Haven PWC have organised a summer ball in aid of Seafarers Awareness Week to be held on the 28th June whilst representatives from the Humber PWC are manning an information stall at the Hull Museum over the weekend. On the Tyne meanwhile, the Fishermen's Mission have organised a carnival type event with the Danish Fishermen's Choir! The Mountbatten School in Romsey, not too far from our offices here in Southampton have made, in partnership with Seafarers UK, a 12 minute video entitled 'So whats the sea ever done for us' to promote Seafarers Awareness Week. Follow this link to view the video: http://www.youtube.com/user/SeafarersAwareness . Revd Andrew Jacobson, Port Chaplain with The Mission to Seafarers in Gibraltar and member of our Gibraltar Port Welfare Committee recently gave a very interesting and insightful interview with local TV about the work of the Mission and the support it gives to seafarers in Gibraltar. To watch the interview please click here. Sally Oliver, Welfare Support Manager, was delighted to be invited once again to this nautical lunchtime gathering, which was organised by Carers Together and kindly hosted by the Southampton Seafarers' Centre earlier this week. Carers Together are committed to providing essential support to carers. They are a local charity, supporting those caring for friends or family with long term health conditions. In the course of their work, the support workers meet many people who worked at sea. Many (particularly those with memory problems) really engage when reminiscing about their time at sea. The event was extremely successful and very well attended by a selection of seafarers and their carers, from MN, RN, RFA and RM backgrounds. People were encouraged to chat about their experiences at sea, share any photos and mementoes that they brought with them which was followed by a fish and chip lunch. 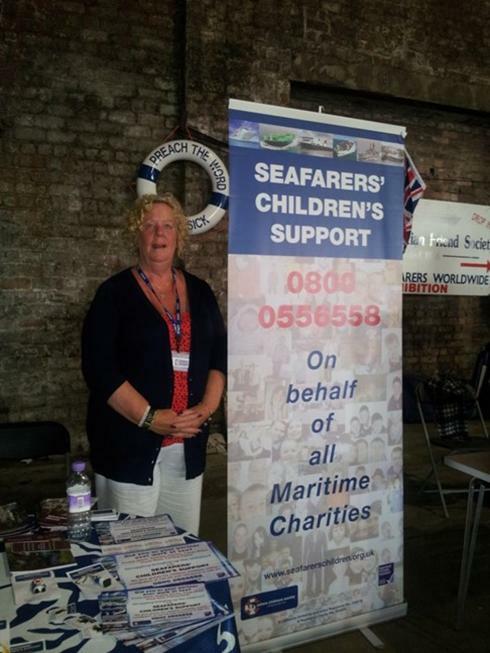 Sally spent much of the day speaking to many seafarers about the welfare services that the Board is able to offer. The Serco NorthLink ferry 'Hamnavoe' was the venue for the latest successful Orkney Seafarers' Gathering which took place in Stromness at the end of March 2014. The successful event was organised by Voluntary Action Orkney and the Fishermen's Mission Port Officer in Orkney, Superintendent Willie Buchan and Craig Taylor, an associate member of the Fishermen's Mission. A good cross section of the Orkney seafaring community attended including retired folk, as well as those who work at sea at the present time. As a result of NorthLink’s generosity in providing lunches free of charge, and for providing travel vouchers to the value of £150 for a main raffle prize, £500 was raised for the Fishermen's Mission. Tesco staff were also praised for helping to fundraise over £500 on the day. It was formally announced that thanks to a joint initiative by the Fishermen's Mission and Orkney College, the UHI's Maritime Studies Department in Stromness would be made available as a safe haven for shipwrecked sailors or fishermen. Crew members who may be brought ashore after an incident at sea, can now get warm and dry at the 'Nav School', while they await further assistance, which would include support from the Fishermen’s Mission to access short term emergency accommodation. To read more about the event please click here to download the full story. An exciting new fundraising campaign has been launched that is asking employees of maritime businesses to ‘Get stripey’ on Friday 16 May, and to donate just £1 each in support of seafarers and their families who are facing tough times. It is the idea of Seafarers UK, the leading grant-making and fundraising charity that supports those in need across the Merchant Navy, Fishing Fleets, Royal Navy and Royal Marines. In return, all monies raised will go to support seafarers in need, and their families. Last year Seafarers UK paid grants totalling £2.5 million to 84 charities that helped more than 150,000 people in need. But Seafarers UK received bids for twice that amount, which is why the charity is now calling on maritime businesses to have fun and ‘Get stripey’ on 16 May. For more details visit www.getstripey.org, email getstripey@seafarers-uk.org or phone 020 7932 5961. The Prince's Initiative for Mature Enterprise (Prime) have collaborated with Seafarers UK to provide free business start-up training and support to ex-seafarers. You can explore the option of working for yourself at our half day ‘Introduction to Self-Employment’ workshop. The workshop has been designed to provide you with an overview of how to start a business, identify if becoming self-employed could be right for you, make you aware of the support available along your journey and give you the opportunity to discuss your business ideas. Who should sign up for the workshop? This workshop is for ex-seafarers who are over the age of 40 and either unemployed or facing redundancy. For more information or to book, please click here. (Refreshments will be provided). This introductory course is followed by a 3 day ‘Preparing to Run Your Own Business Program’ being held in London and Portsmouth. Who should sign up for the workshop programme? This course will take you in straightforward, comprehensive steps towards setting up your own business. By the end of the course you will have taken the steps to turn your business idea into a reality. This is a course taken over 7 weeks that involves 3 workshop training days and approx. 140 hours of guided learning. By the end of the course you will have produced a business plan. For more information and to book please click here. You must attend all three dates to complete the course. Please note a deposit of £25/£80 is required and fully refunded on completion of the course (lunch and refreshments will be provided). The committee responsible for the Medal is actively seeking nominations for consideration for the 2014 awards. The medal provides an opportunity to recognise, in a worthy and public manner, those persons who are making, or have made up to two years previously, a significant contribution to the Merchant Navy. The committee is particularly anxious to receive nominations for personnel serving at sea, regardless of rank and these can be put forward by colleagues or employers. The award is made for meritorious service to those who are judged to have made a worthy contribution to merchant shipping, including operations, development, personnel, welfare and safety, or who have performed an act of courage afloat. Persons nominated for “meritorious service” must have served afloat in the Merchant Navy or fishing fleets for a minimum of twelve years, at least five of which must have been at sea. Nominees can include serving officers and ratings, or shore-based personnel within maritime organisations, including shipping companies, agencies, authorities, charities and educational establishments. A small number of medals can be awarded as “honoris causa” to persons who have made a major contribution to the shipping sector but have not served afloat. Medals awarded for “Acts of Courage Afloat” are not subjected to minimum service requirements. All nominations can only be considered for a maximum of two years after the nominee has left his, or her, post although consideration is given to posthumous awards. The closing date for 2014 nominations is 30th June. Fishermen based in storm-battered coastal communities are suffering the full impact of the relentless severe storms. Many fishermen, including those with boats in coves, tidal-restricted harbours and launched from beaches, have not been able to fish since December. A fundraising appeal has been launched by The Fishermen's Mission, the charity that provides emergency support and practical care to fishermen and their families. 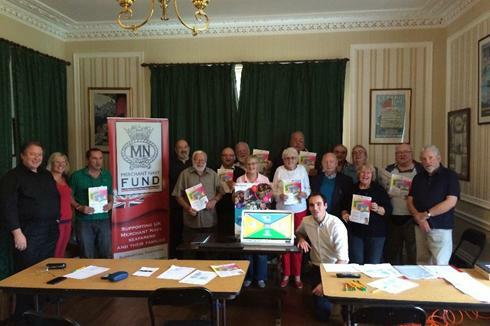 Seafarers UK has pledged £50,000 to support the appeal. Particularly affected are the inshore fishing fleets located in the south west and southern England and along the Welsh coast, especially those fishermen who operate day-boats. The winter storms have prevented fishing, caused the loss of fishing pots, smashed harbours, and in extreme situations boats have been sunk. The Fishermen’s Mission makes available immediate emergency grants of up to £500 to fishermen who are in need. These can be used to help pay rent, bills and for food. To donate using a mobile phone please text FMEN13 £3 to 70070. From a landline please Freephone 0800 634 1020.